We spoke a lot last week about APEST. Let em encourage each of you to take a few minutes and go take the APEST test online. I am asking as your pastor for you to help us, equip you to be part of this body. I have only received a couple of those so far. We need everyone to be part of this body. The reason Jesus gives us as gifts to the church is to serve. If we do not serve we are being disobedient children. This would be like getting a gift from someone at your wedding. The person giving it to you tells you they are so excited about you receiving this gift because they received the same gift on their wedding day and they have used it everyday since their wedding. Then they ask you a few months later how you liked the gift and you tel them you never opened it. The wrapping paper was too pretty to rip so they just put it on a shelf to look at. 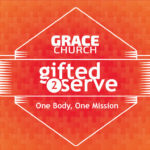 That is what it would be like for us to not use the gifts God gives us to serve His body. As we explored last week we saw that we need each part to do it’s work so that can function the way God intended His body to operate. That is why He gives us all different parts to build us up together. As each part functions it is imperative that it be under the control of the Holy Spirit. So lets talk about what that looks like. Apostles are the ones that keep us moving forward. They are essential to the advancement of God’s plan. honestly in a lot of churches you don’t find many of these. In fact the first 3 have largely been leaving the traditional church. The reason being is they have not been utilized or appreciated for many years. There is a great website that talks about this in more detail called ReleaseTheApe.com. There are a few reasons for this. One is the church traditionally has moved way to slow. This is natural BTW the desire to be comfortable, safe, and familiar is a strong pull on most of us. Especially in a world that changes so fast, the ideas of stability and consistency are needed more and more in our world. The truth is our God is unchanging, but the reason He is, is because He knows the beginning from the end. We do not! Therefore we must be under the control of the Holy Spirit who guides us into the NEW that He desires. The second reason the Ape’s have left has been they have learned that it is easier to go outside of the church and accomplish what God has made them to do than to stay inside and fight the complacency. It is part of my desire that we as a church embrace those who have this calling on their life and welcome them to be fully functioning parts of the body. Apostles have found that it is easier to go plant a church where change is expected than to revitalize a church that needs help. Evangelist have found it is easier to travel around and create events to “win the lost” than it is to be in a community that is dieing and broken and raise up disciples in the midst that will transform a community. Now I am not saying that any of those things are bad. And God calls some of those out to greater effectiveness in the church world. But if they have not been faithful to raise up those around them to continue to use their gifts in these areas the church soon grows into atrophy and becomes inward focused. But there is a danger, if we do not let the Holy Spirit guide us, we can become unbalanced as a church. Unity, faith, knowledge, maturity, mission. We need all of these things to grow into the fullness of what Christ desires for us to be. Look at what this will create. Maturity, Stability, Wisdom, Depth, Discernment: These are the traits of what God desires for His church to look like. This is probably one of the most misused passages of scripture by the church. And it is largely misinterpreted because of a lack of understanding the context and a lack of the Holy Spirit control in our lives. The sentiment is good on the outside but it has been abused and misused so much we need to really unpack this phrase so we will stop using it improperly. How has this been explained or used in the past? Therefore, laying aside falsehood, SPEAK TRUTH, EACH ONE of you, WITH HIS NEIGHBOR, for we are members of one another. So how do the saints minister to the body? Answer: by speaking truth about God and about Christ in love. Both are crucial. Knowledge and love. Knowledge without love puffs up, Paul said (1 Corinthians 8:1). But love without knowledge is confused and aimless, and disintegrates into sentimentality. That’s why Paul prays in Philippians 1:9 “that your love might abound more and more in all knowledge and discernment.” Love abounding in knowledge and discernment is what builds the body of Christ. So how do each of the gifts communicate the truth in love? A – The Gospel tells us we are a NEW creation, and that He has NEW things he wants to bring about in His church. We cannot be afraid of change. God’s heart is to call us to move forward not just to hold ground. We need to be MISSIONARIES to those around us. We have the GOOD NEWS we must proclaim it. P – The Gospel tells us that we are dead to sin, and we must walk in holiness and truth. We must not let the Gospel become words only. Our lives must reflect the change that God has called us to. We must reach out and deal with the injustice in our world. God calls us to reflect Him in action and deed not just in lip service. E – The Gospel is the greatest news we have. We must proclaim it to the lost world. We cannot sit by and let others go to hell without them hearing how amazing and good an loving God is. We must make disciples of everyone so the Good News is spread everywhere. S – The Gospel tells us we are no longer condemned. Instead we are loved and accepted no matter what. We are covered in the righteousness of God and His work on our behalf is sufficient. We can come to Him without regret or fear because Jesus paid it all. T – The Gospel tells us that God wants us to have a personal intimate relationship with Him. He wants us to know Him. That is why he gives us the Holy Spirit as our teacher. To make Himself and his will known to us. We must dive deep into the word to transform our minds and change our thinking. we will not fulfill God’s calling in our lives. Notice this is from Him! The whole body is functions the way He designed it by His power and His message. Our calling is to do what He calls us to do and to function the way He calls us. When we all do this we will all grow into the church He has called us to be. We need to understand the differences and the diversity He has made in us as the body of Christ. When we value the diversity and gifts that others bring we will truly begin to love as Christ loves.